Carry weight limitations have always been a big part of many RPGs, used as a balancing mechanic to stop players hoarding. In Fallout, it’s what stops you carrying around a personal nuclear arsenal at all times. In Fallout 76, it seems Bethesda has relaxed the system somewhat, perhaps since you can no longer use an NPC companion as a packhorse. However, the system now seems inconsistent to the point that an item like a booby pin weights more than ammo for weapons. Bobby pins are used to break into locked items and to loot whatever’s inside. If you want to carry a lot, you’re going to need to be aware of the strain on your weight limits. As pointed out by Redditor SirPleasantbury, 20 pins weigh the same as a missile, 30 pins are similar in weight to some weapons, and 60 bobby pins are the same weight as a mini nuke for the Fat Man launcher. In Fallout 4, bobby pins didn’t weigh anything, so you could carry as many as you liked. But while bobby pins weigh more than they ever did, the weight of ammo has decreased across the board. Good news if you play a combat build, bad news if you’re kitting out a rogue. Reddit user gethsbian has been poured through preview footage to note the weights of ammo types and compare them to their Fallout 4 versions. Across the board, there’s a big reduction in weight for ammo types. 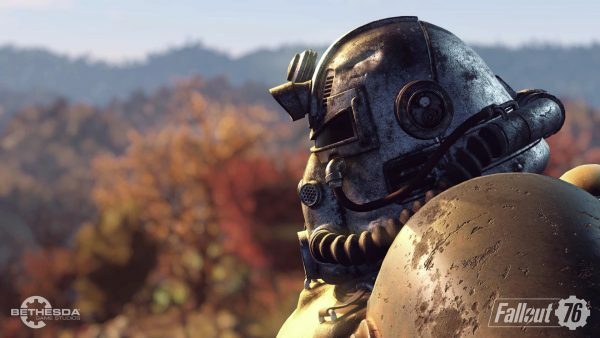 Fallout 76 is live now, so you can jump straight in and start exploring. Here’s some essential beginner’s tips, as well as advice on where to find your Tricentennial Edition skins.